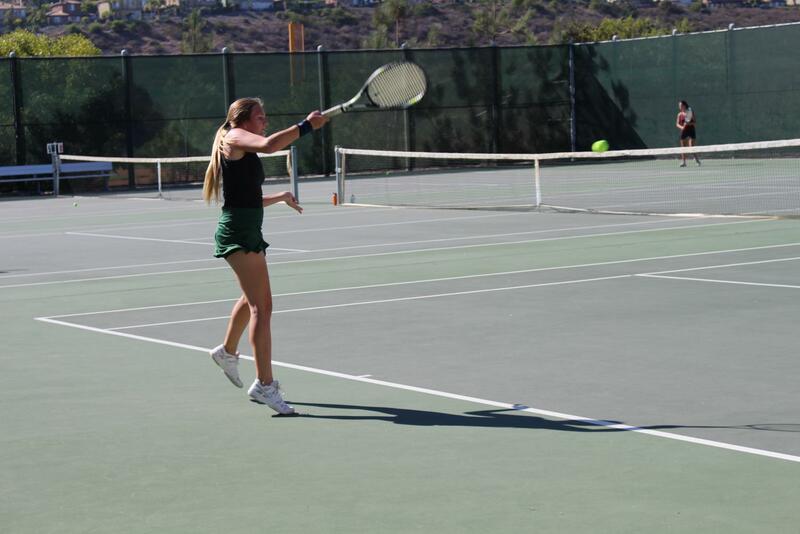 Senior Lindsey Williams takes a quick swing with her racket during the match against RBV. 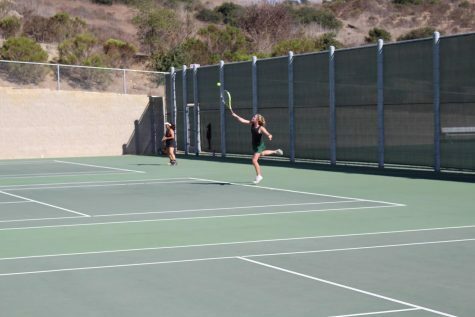 Girls tennis recently wrapped up their 2018 season. They really seemed to strive throughout the fall as the months progressed with the junior varsity team winning every single league game, along with varsity winning the majority of theirs. 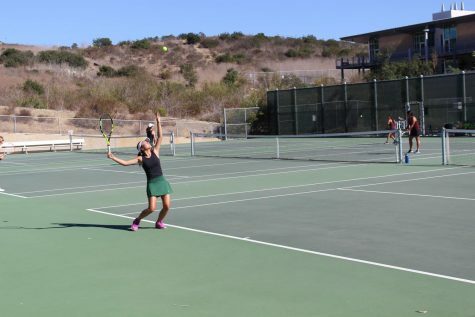 Junior Elaine Shi takes a quick glance at the ball, as she makes a powerful serve during a match against RBV. When did you first become interested in tennis? How do you think the teams did this season overall? What was your favorite part about this year’s season? Sophomore Jackie Tucker takes a small hop as she makes one of her strong serves at the RBV vs Sage game. How does this season compare to last year’s? How do you think the teams did this season, overall?